Since 1994, the French artist collective Ouïe/Dire has developed original sound works that promote the quality of the concrete listening experience, addressed in all its generality, complexity, and depth. 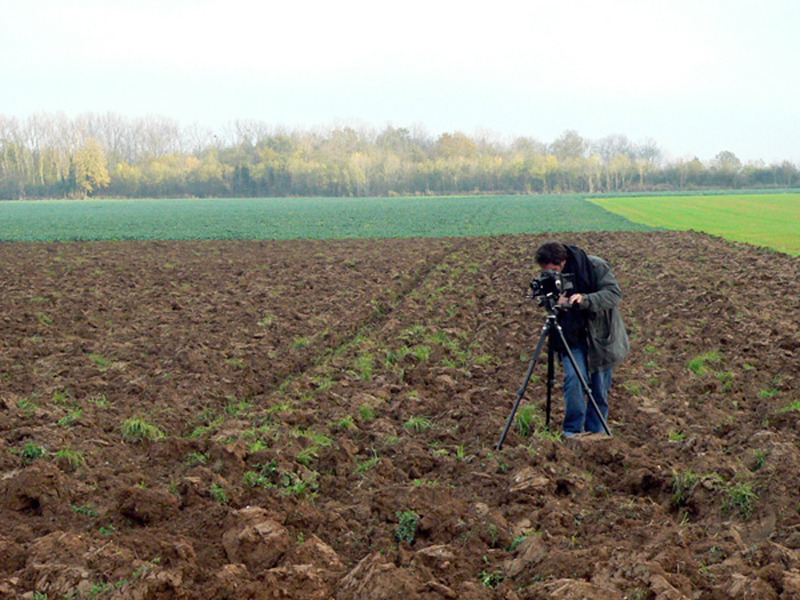 Their collaborative projects often involve the live recording of musicians on site and other forms of media, such as video and photography. Focused primarily on listening to the real world through phonography (the aural equivalent of photography), Ouïe/Dire creates audio postcards, objects with original recordings and photographs that are closely linked to territories, sites, or topics. Ouïe/Dire is attentive to the social, cultural, and educational dimensions of its projects and views listening as an intimate gesture that engages the individual in relationship to his surroundings. Kristof Guez (* 1972) lives in Trélissac (Dordogne), France, and is particularly attentive to emerging indications of reality, regularly working in collaborative projects within the collective Ouïe/Dire. He aims towards staging photography in everyday life and providing alternative answers to documentary questions. Guez’s collaborations with musicians and visual artists are realized as installations, performances, publications and exhibitions throughout Europe and Asia. 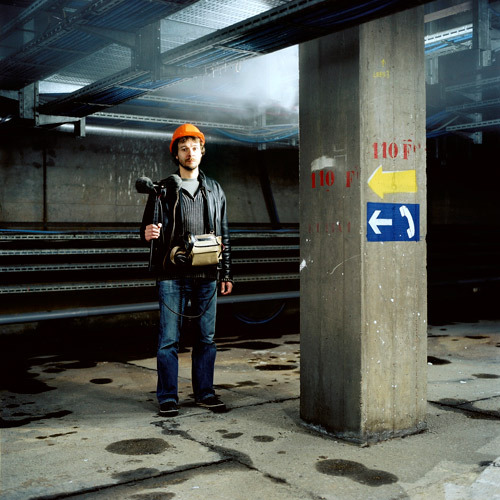 Marc Pichelin (* 1967) lives in Périgueux, France and works with electro-acoustic sound in widely diverse situations: live performances in dance and theater, sound exhibitions, works for radio and improvisational concerts. 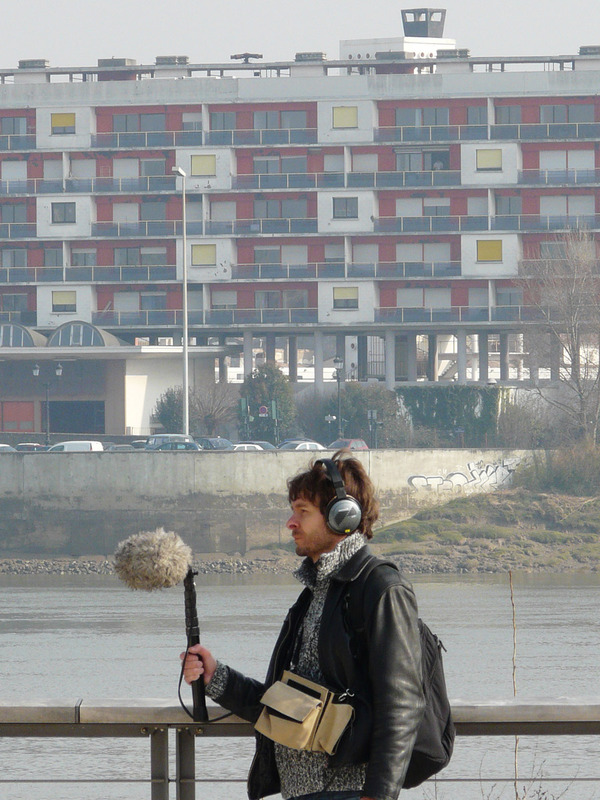 He regularly participates in the activities of the Groupe de Musique Electroacoustique d’Albi, especially in projects that relate the quotidian experience of sound with musical practices. His phonographic work allows him a simple and unobtrusive observation of the environment and people, on a world of everyday life, with its workers, its landscapes, and its rumors. Das französische Künstlerkollektiv Ouïe/Dire entwickelt seit 1994 originelle Klangwerke, welche die Qualität der unmittelbaren Hörerfahrung in all ihren Formen, in ihrer Komplexität und Tiefe fördern. Die kollaborativen Projekte involvieren oftmals Live-Aufnahmen von Musikern vor Ort und andere Medien wie Video oder Fotografie. Ouïe/Dires Schwerpunkt liegt auf dem Hören der realen Welt durch Phonographie (das auditive Äquivalent zur Fotografie). So kreieren die Künstler klangliche Postkarten – Objekte, die Audio-Aufnahmen mit Fotos kombinieren und die eng mit spezifischen Gebieten, Orten oder Themen verbunden sind. Ouïe/Dire ist auf die sozialen, kulturellen und bildenden Dimensionen ihrer Projekte bedacht und versteht das Zuhören als eine intime Geste, die das Individuum mit seiner Umgebung verbindet. Kristof Guez (* 1972) lebt in Trélissac (Dordogne/Frankreich) und kollaboriert regelmäßig mit dem Kollektiv Ouïe/Dire, wobei sein Augenmerk auf den zunehmenden Relativitätshinweisen liegt. Sein Anliegen ist es, Fotografie im Alltagsleben zu inszenieren und alternative Antworten auf Fragen des Dokumentierens zu finden. Guez’ Kooperationen mit Musikern und bildenden Künstlern werden in Form von Installationen, Performances, Veröffentlichungen und Ausstellungen in Europa und Asien umgesetzt. Marc Pichelin (* 1967) lebt in Périgueux, Frankreich und arbeitet mit elektro-akustischem Klang in sehr unterschiedlichen Situationen: Live-Auftritte in Tanz und Theater, Sound-Ausstellungen, Radio-Arbeiten und Improvisationskonzerte. Er nimmt regelmäßig an den Aktivitäten der Groupe de Musique d’Albi Electroacoustique teil, vor allem in Projekten, die alltägliche Erfahrungen von Klang mit musikalischen Praktiken in Beziehung bringen. Seine phonographische Arbeit erlaubt ihm eine einfache und unauffällige Beobachtung der Umwelt und der Menschen – einer Welt des Alltags, der Arbeiter, Landschaften und Gerüchte.